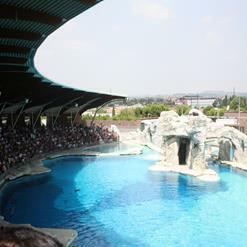 Aquafan is one of the largest water parks in the whole Europe. There are all sort of entertaining things are available such as tube slides, artificial wave pool, inflatable tunnel, swimming pool and much more. You can spend your whole day to enjoying various water rides and extensive entertaining events.